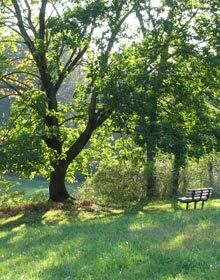 How does the Pennsbury Land Trust decide whether to accept an easement donation? Why would I want to get a conservation easement? What is the role of the Land Trust once the easement is donated? Can an easement be flexible to my needs? Must I allow public access to my property if I get an easement? Are easements just for land? Is the Pennsbury Land Trust a government agency? I don't have any resources to protect. Why should I care about the Land Trust?